Find out why this terrible trio makes every bad breath cure you’ve tried fail. 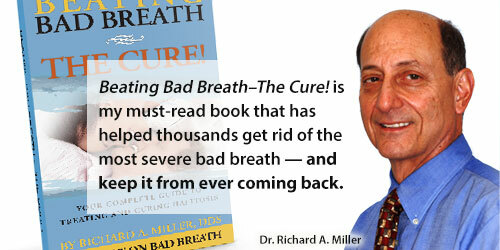 Once you know this, you’ll understand the key to eliminating chronic bad breath for good. Antibiotics for Bad Breath: Good or Bad? Some doctors and dentists are prescribing antibiotics to get rid of bad breath. Get the facts on the effectiveness of this treatment as well as the risks. The halimeter is a tool many dentists use to diagnose bad breath. 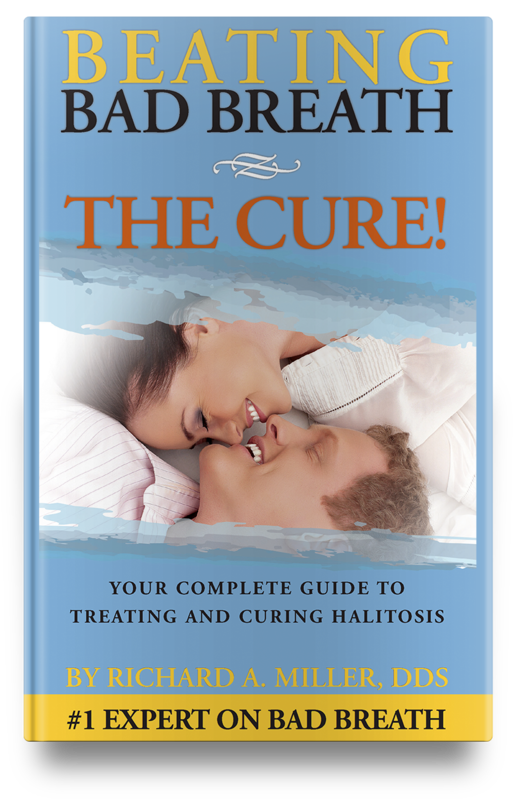 Learn why a complete diagnosis for bad breath/halitosis requires more than this one test. Tonsil stones are small and hidden deep in the mouth. But they can spell trouble for those suffering with chronic bad breath. Learn why home removal can be risky and when it may be time to see an ENT specialist. Have you ever been to a doctor’s office and felt like they were only hearing half of what you said? Chances are, the office may be overbooking to increase profits. Learn the effect this has on the level of care you receive. If you think you’ve exhausted all ways to get rid of bad breath, halitosis expert Dr. Richard Miller introduces you to Tongue Rejuvenation — a permanent cure for bad breath.